Eczema can be frustrating to live with and difficult to treat. It is a complicated, relapsing inflammatory skin disease. The roots of this complex disease include genetic factors, heightened immune response, skin barrier issues as well as environmental factors such as diet, household products, chemicals and toxins. There is no ‘one-size-fits-all’ solution. Added to this is the fact that there have been virtually no eczema drugs that are approved for pediatric use. There are new drugs on the horizon, however, they are expensive, can have side effects, and some must be administered by injection. What’s a frustrated parent to do? We hope that our website provides you with useful information, including some holistic and/or alternative methods you may not have considered before in order to care for eczema. For example, there is a problem-solving concept in traditional Chinese medicine known as “Surrounding the Dragon.” The dragon in this case is eczema. In order to tame the dragon, we surround it with multiple approaches. As human beings, we look for quick solutions. However, eczema is a chronic, relapsing condition. There is no quick solution. Be patient, breathe, and take one step at a time until there is relief. Many parents have found that Triple Cream is a big part of the solution for eczema care. Triple Cream has a rich, thick barrier that provides comfort and relief for eczema sufferers of all ages, especially overnight. However, just like every other topical eczema product available, it is not a complete answer. Eczema can be challenging any time of year. The National Eczema Association (NEA) says, “The low humidity common in many parts of the United States during winter can cause dry, irritated skin — and then eczema can flare up.” Be sure to keep your skin quenched with a thick, rich moisturizer like Triple Cream! Eczema can look, feel, and appear different for each person. Sometimes, it even varies between flare-ups for the same person. Generally, people with dry, sensitive skin can be more susceptible to developing eczema. Itching can be the worst part. Indulging in scratching your eczema can lead to bleeding, which leads to even more inflammation, which leads to skin damage and more severe eczema. It’s a vicious cycle of discomfort and pain. Eczema is categorized by its severity and triggers, and is sometimes referred to as atopic dermatitis. Use the slider below to learn more. The type and severity of eczema can show up differently for each person. These are just a few of the more common ways it presents itself. Because eczema can vary in its shape, size, and severity between incidents, you may suffer differently and/or have multiple symptoms throughout your experience with the condition. If you have sensitive, dry skin that has worsened and any of the above symptoms, it could be eczema. You should care for your eczema both externally and internally. The more common and mild forms of eczema occur during childhood, but can happen at any age. It can appear on the hands, face, feet, inner elbows and behind the knees as dry, itching, and red, slightly inflamed skin. Slight cracking and flaking may also occur. You can soothe eczema with creams that moisturize and treat the affected areas, like Triple Cream Dry Skin/Eczema Care. Taking care of your eczema during and between flare-ups can also help, such as using gentle soaps and moisturizers, like Comfort Bear Bar and Cutemol. As eczema increases in severity, it can include more intense itching, scaling, cracking, and bleeding as well as dark patches of skin. Eczema can become worse the more you indulge in scratching and the more you stress about it. In addition to caring for your eczema with creams, moisturizers, and proper skin care, you should also refrain from scratching in order to keep the level of its severity down. Maintaining your skin’s moisture while soothing your current condition, with a product like Triple Cream, is the best way to slowly but surely handle your symptoms. Severe cases of eczema may include any or all of the previous symptoms, in addition to the possibility of swelling, crusting, and/or oozing of your skin. Severe cases of eczema can negatively affect your quality of life, internally and externally. In addition to all other treatment options, you’ll also want to identify what triggers your eczema – be it situational, emotional, chemical, physical (fabrics), etc. Be proactive by identifying and avoiding your eczema triggers. Atopic Dermatitis is the most common form of eczema. Atopic Dermatitis can occur at any age, but often starts in childhood. This is the kind of dermatitis often affects people who have a family history of dry skin, asthma, hay fever, and/or common skin issues that allow too much moisture to escape – which lets skin dry faster and eczema to take form. It can appear on the face, hands, feet, inner elbows, and behind the knees. Contact Dermatitis is the kind of eczema that can show up after a substance damages your skin, like chemicals or frequent hand washing. It can also occur when you come in contact with an allergen, like certain clothes, cosmetics, or plants. Dyshidriotic Dermatitis is an eczema that appears on the hands and feet, showing up as severe itching that can blister, scale, and crack. Dyshidriotic Dermatitis can be chronic and painful. The cause is unknown. Nummular Dermatitis is a kind of eczema that causes coin-shaped red marks on the legs, back of hands, forearms, lower back and hips. The cause is unknown, but some instances like exposure to certain chemicals, and cold weather can increase the likelihood of a flare- up. Neurodermatitis occurs in areas that are habitually scratched. It usually does not spread, but the irritated skin can grow back thick and heavily wrinkled. Neurodermatitis often begins at particularly stressful times. Seborrheic Dermatitis, commonly known as dandruff, is where the skin falls off in flakes. In infants, it’s often just the scalp, but in adults it can also appear in the eyebrows, sides of the nose, behind the ears, groin, and chest. Stasis Dermatitis can show up in people who have poor blood circulation in their legs. Stasis Dermatitis can cause the skin to crust and weep as well as, over time, stain in a brownish color. 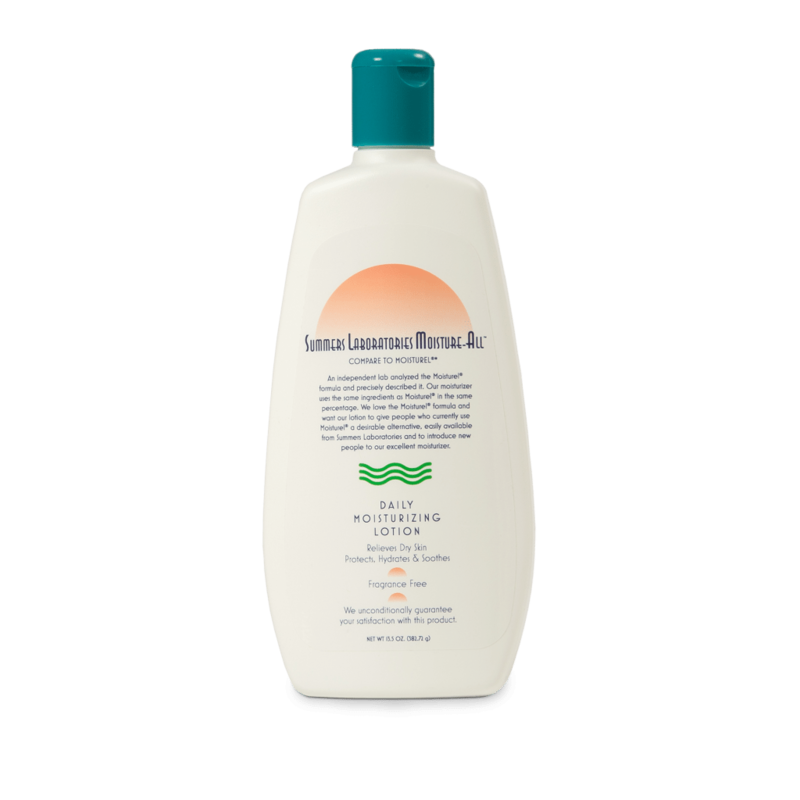 You can soothe eczema with creams that moisturize and treat the affected areas. Also, be sure to identify and avoid your eczema triggers. Be proactive with your eczema. 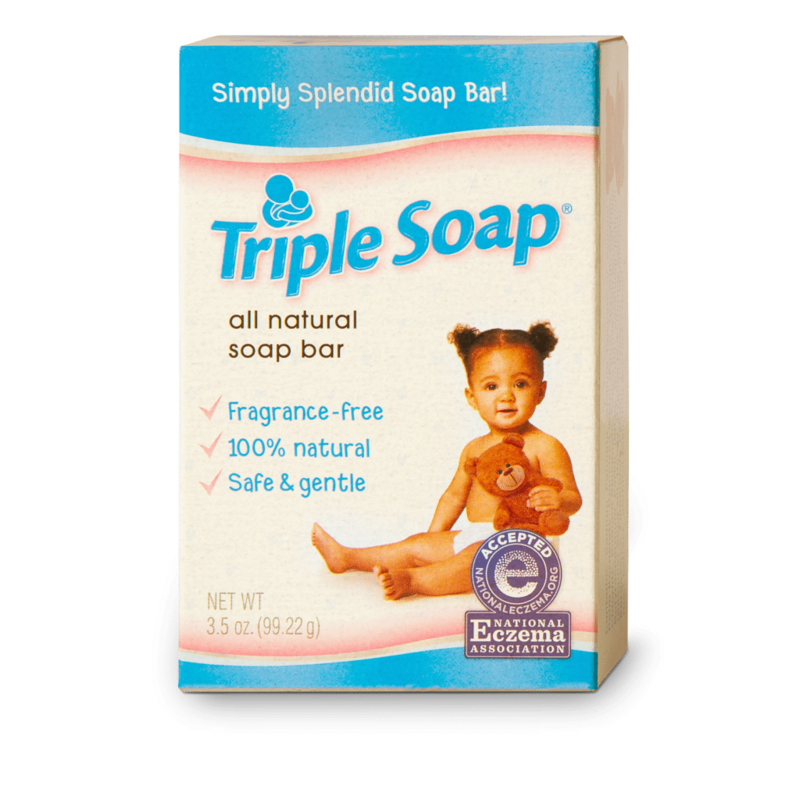 Use hypoallergenic soaps, like Comfort Bear Bar, and healing moisturizers, like Triple Cream. Keep calm. There’s an association between eczema flare-ups and anxiety, so be mindful of your emotions and aware of your personal triggers so you can lead a healthier life with healthier skin. Find your triggers. They could be: cosmetics, soaps, detergents, diet, clothing, sweat, temperature, allergies, and/or stress. Identify and avoid the things that bring about your eczema.